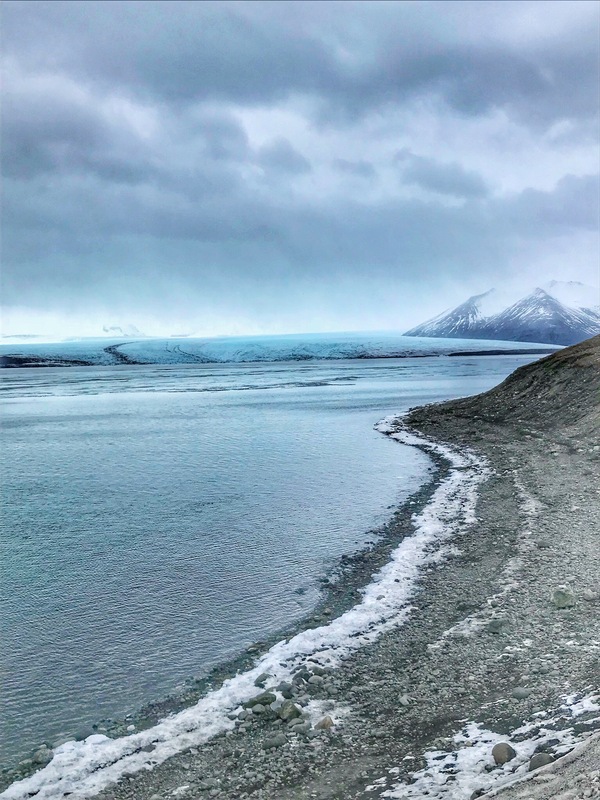 After longing to visit Iceland for several years, I finally made it happen in March of 2018. 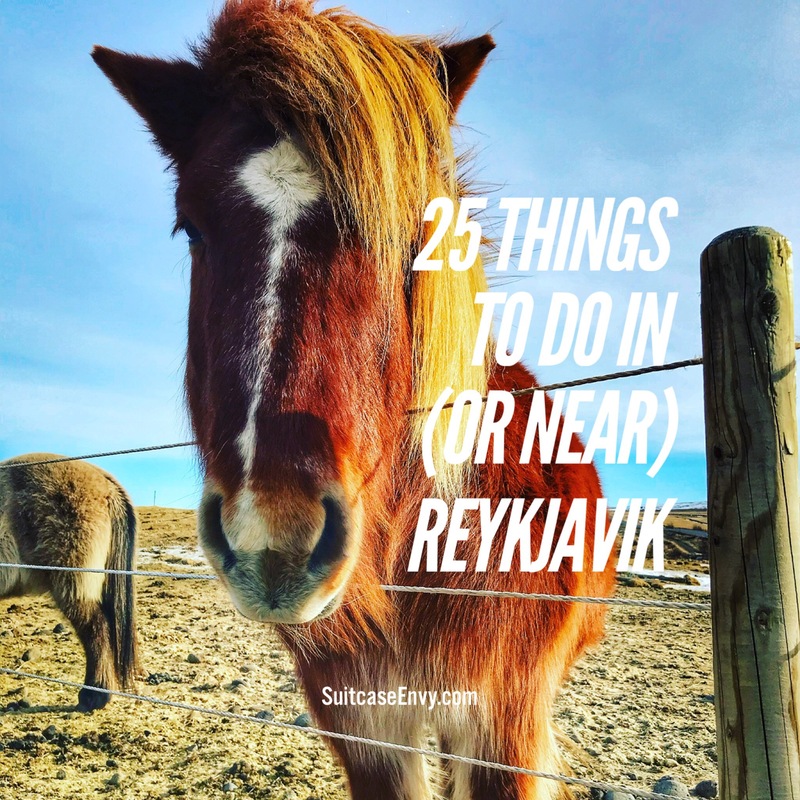 Here were my favorite things to see and do from my week in Reykjavik and the surrounding area. Want to learn how to do all of these things while also sticking to a budget? 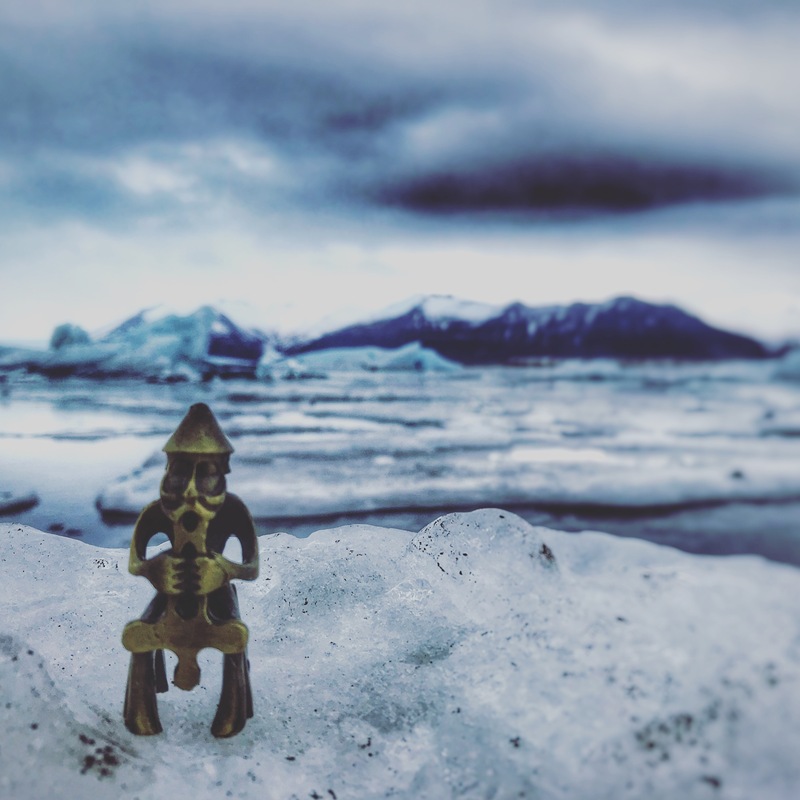 Check out my “Iceland on a Budget” post here. 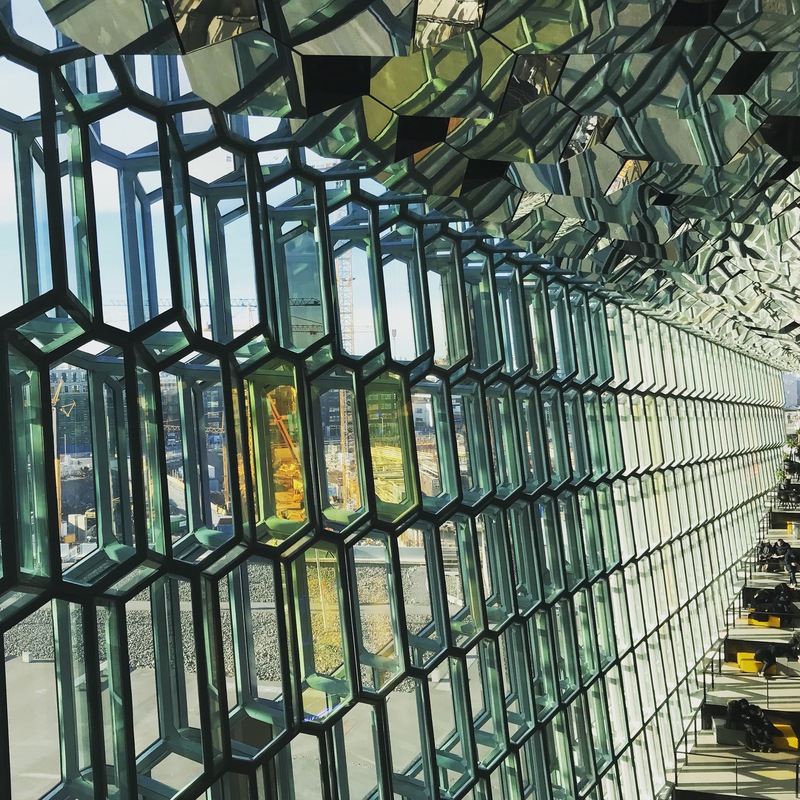 The Harpa is a must-see, whether it’s for a brief stop, a 30 minute tour, or a full show. We elected to walk through the Harpa and spent about 15 minutes admiring the windows and taking some photographs. We were tempted to take a tour for the equivalent of about $15 but figured we got the gist. My recommendation? Look at the Harpa’s calendar online to see when the Iceland Symphony Orchestra is having their next open rehearsal. This is a great way to get a behind the scenes look entirely for free. 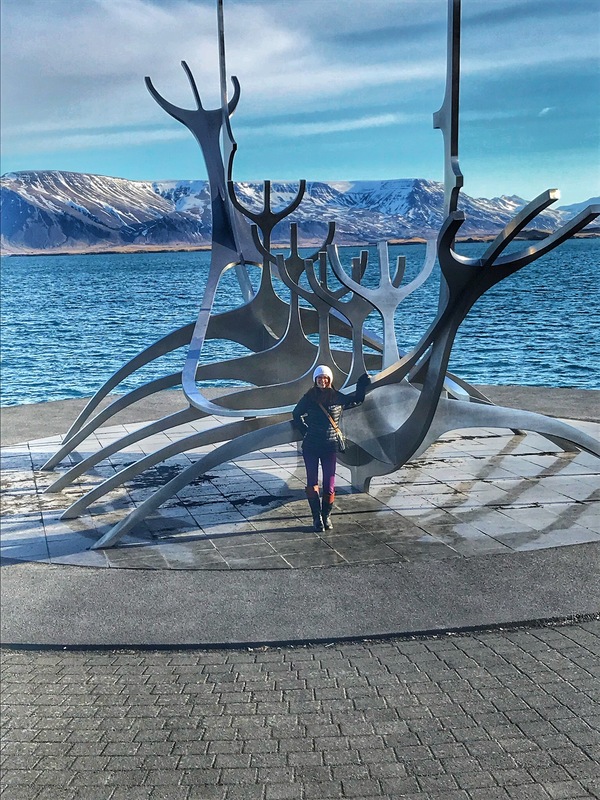 One of my favorite free things to do in Reykjavik was taking a stroll along the Atlantic Ocean and seeing the sculpture, “Sun Voyager” on the way. If you’re up for a long walk, you can take this path all the way from the Harpa to the Hofdi House (see below), or even to the Laugardalslaug pool for a dip in one of their hot tubs. 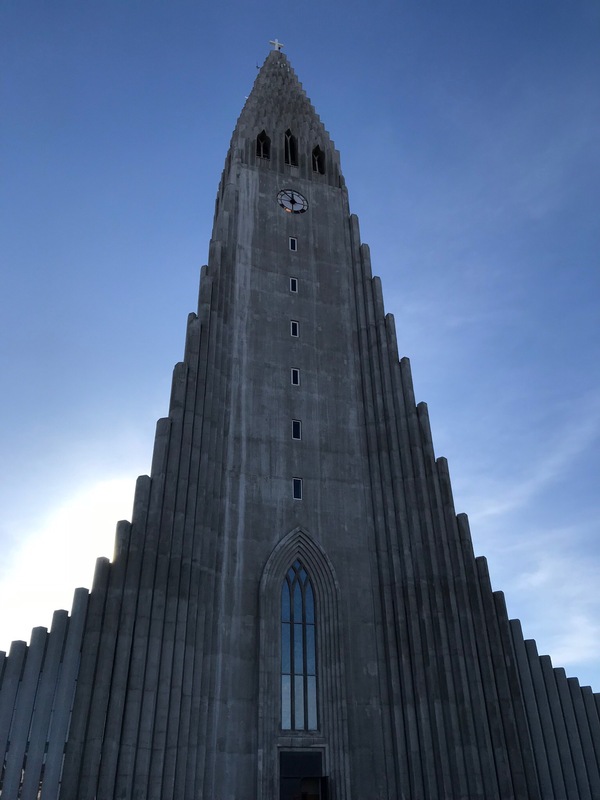 Hallgrimskirkja is an architecturally stunning church and icon of Reykjavik. The inside is simple and pretty, but the best part is taking the elevator to the lookout at the top. Going up costs $10 but it’s worth it to see the brightly colored houses and 360 degree views of the city. While you’re at it, make sure to take a quick look at the sculpture garden next door and do some shopping along Skolavordustigur. The Blue Lagoon is pricey but well worth it. 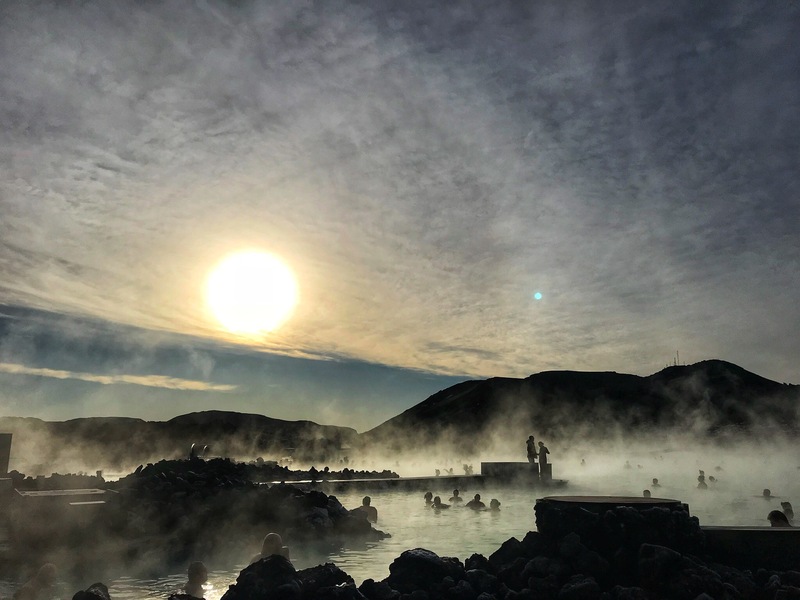 I recommend spending a few hours exploring the lagoon’s nooks and crannies, testing out the silica mud mask, and lounging in the relaxation area. You can even go straight there from the airport! 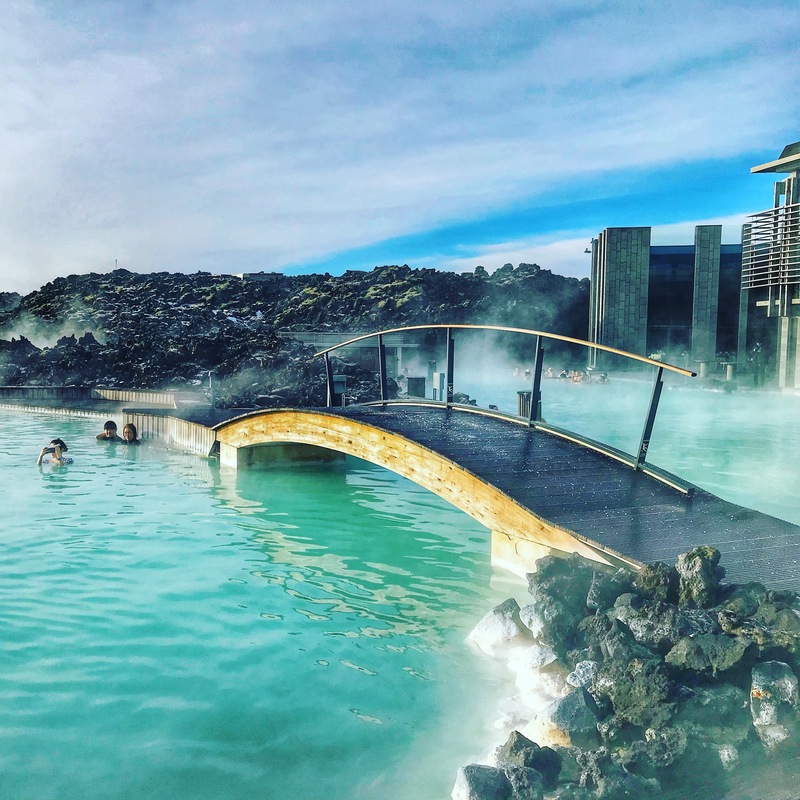 Read more about the Blue Lagoon and learn the thermal pool etiquette here. 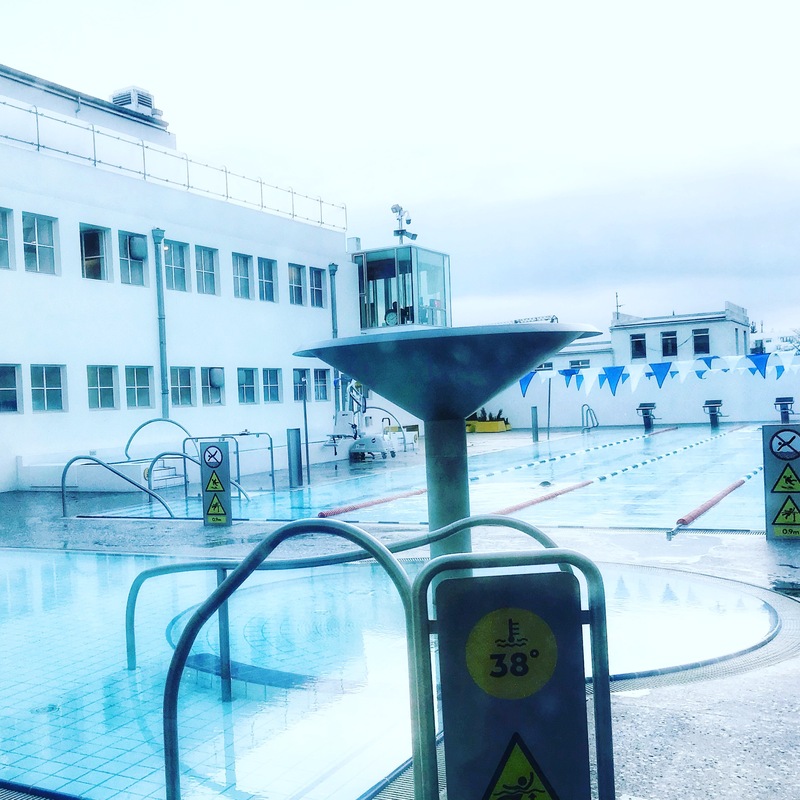 Regardless of whether or not you go to the Blue Lagoon, Reykjavik’s public pools are worth a visit. There are a number of these to choose from, though I recommend Sundholl if you’re staying near the city center, or Laugardalslaug since it has so many hot tubs to choose from. My favorite parts were the shallow hot tubs that you can lay down in for the ultimate relaxing experience. We stayed at an AirBnb on Laugavegur and loved having easy access to its many shops, restaurants, and bars. I recommend looking in “I Don’t Speak Icelandic” and the gift shop in Te & Kaffi for souvenirs. For those looking for a unique experience, this street is also home to the Icelandic Phallological Museum (yes you read that correctly) and a “Big Lebowski” themed bar. 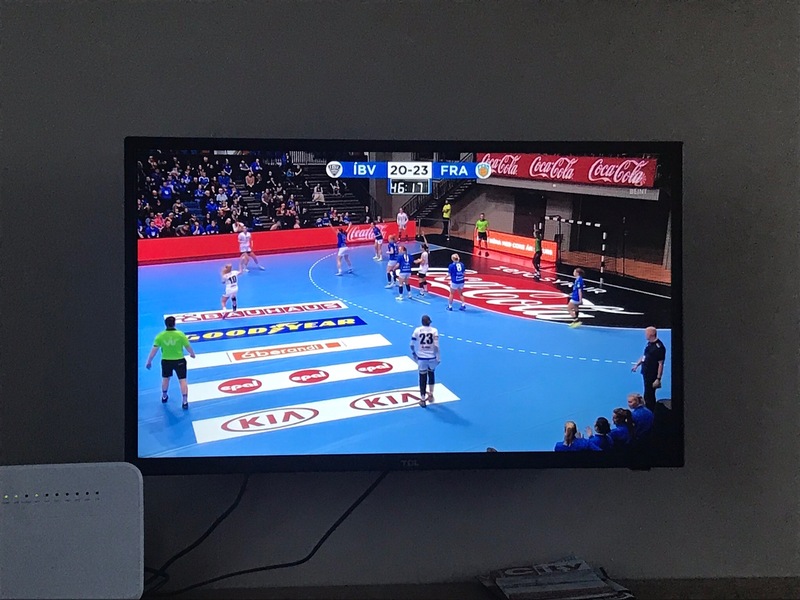 Handball is Iceland’s national sport and in March, we couldn’t turn on the TV without getting into a match. Watch it at a bar or wherever you’re staying. For a review of Iceland’s glory days in the 2008 Olympics and just how important handball is to their nation, read this article from Time Magazine. This is the perfect place to stop after visiting the nearby Hallgrimskirkja. 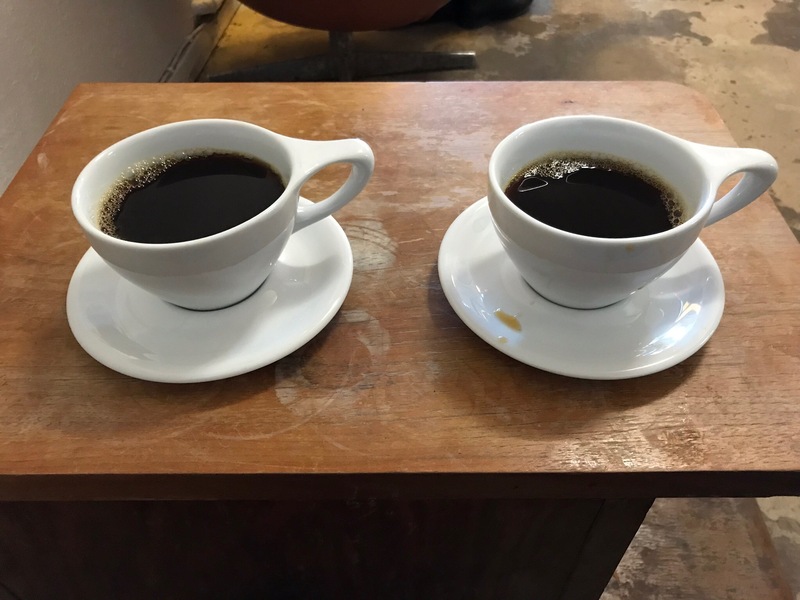 They’re known to have some of the best coffee in town and an atmosphere that will make you want to linger over your espresso. We stopped here on our Golden Circle tour and I wish we’d had more time to explore! 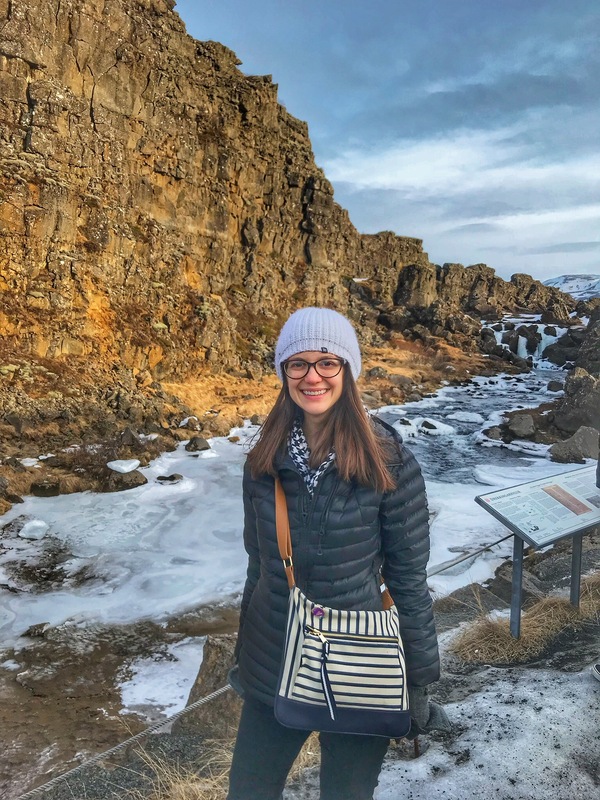 This national park and UNESCO world heritage site is situated on two tectonic plates, allowing you to see large fissures where the plates have shifted. Our tour guide also told us a bit about Iceland’s sordid history of drowning people who they suspected of witchcraft, and pointed out the pond where this took place. 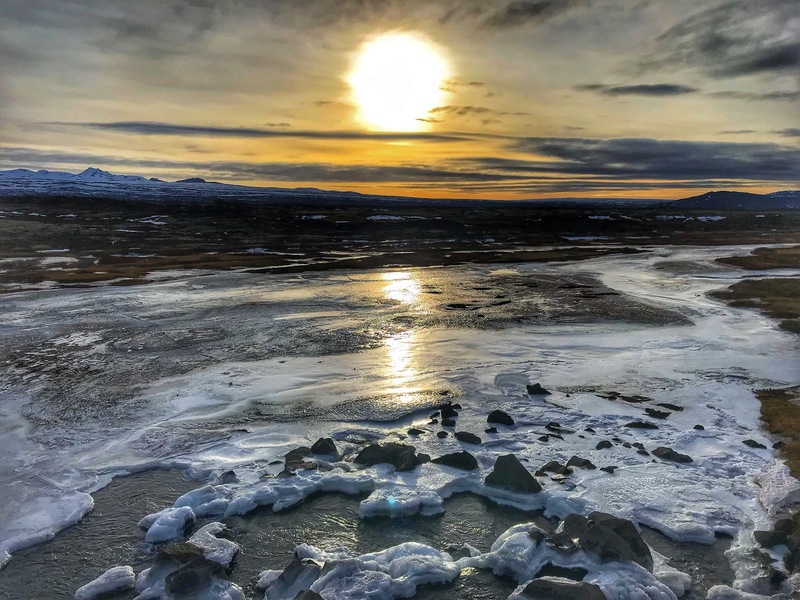 To read more, check out this post on the dark side of Thingvellir. 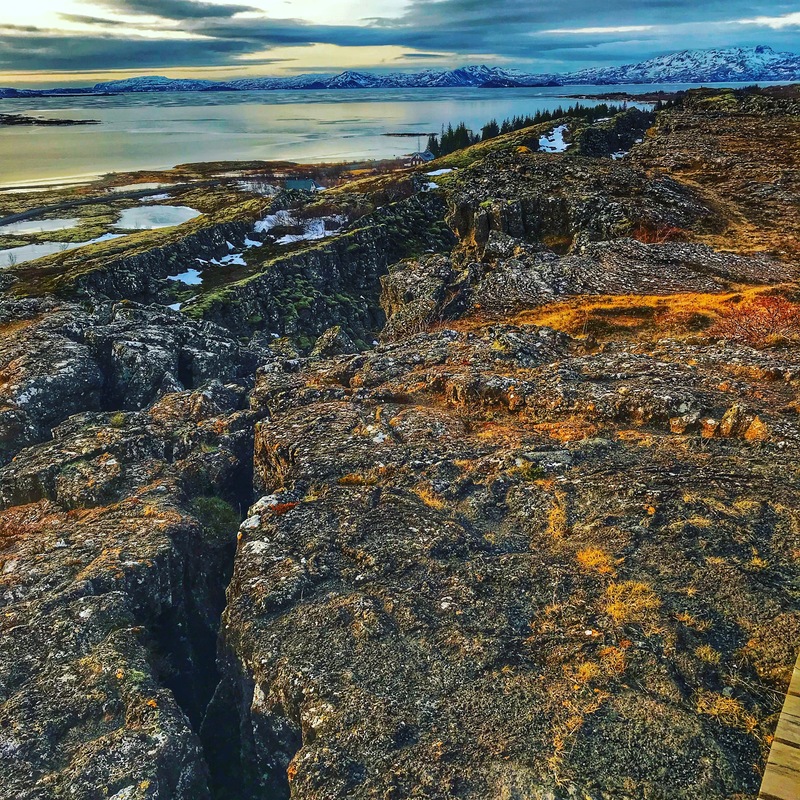 For those with more than a couple hours at Thingvellir, there’s lots of hiking, horseback riding, and even diving to be had. 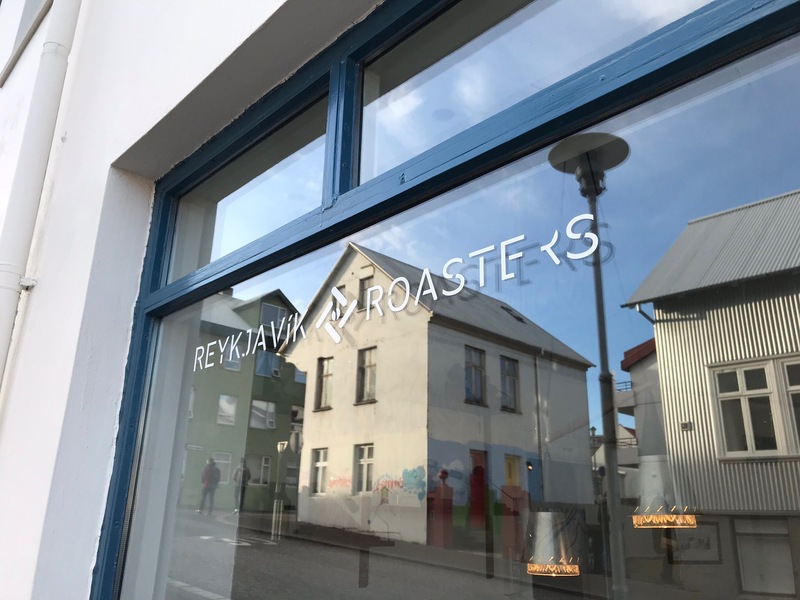 This one is farther from Reykjavik, but is well worth it as a day tour or if you’re renting a car. In fact, my husband and I agreed that this was our favorite experience in Iceland aside from seeing the northern lights. 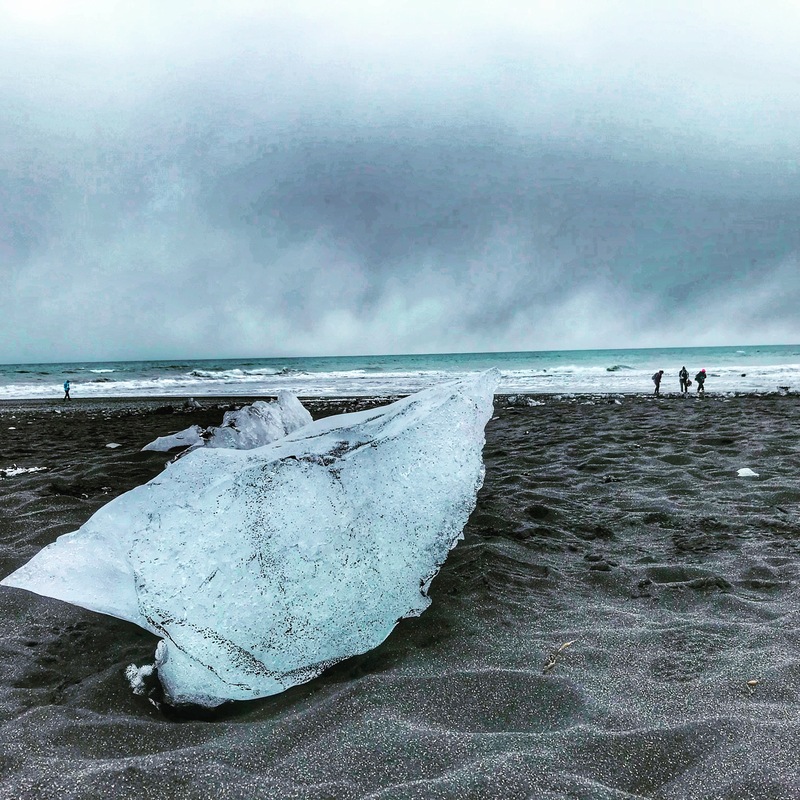 There’s nothing quite like watching icebergs floating in the lagoon, walking on the black sand beaches, and finding small blocks of ice, or “diamonds,” shored up. Make sure to bring binoculars if you’d like to get good views of the seals; they can be seen either swimming or lounging on an iceberg. 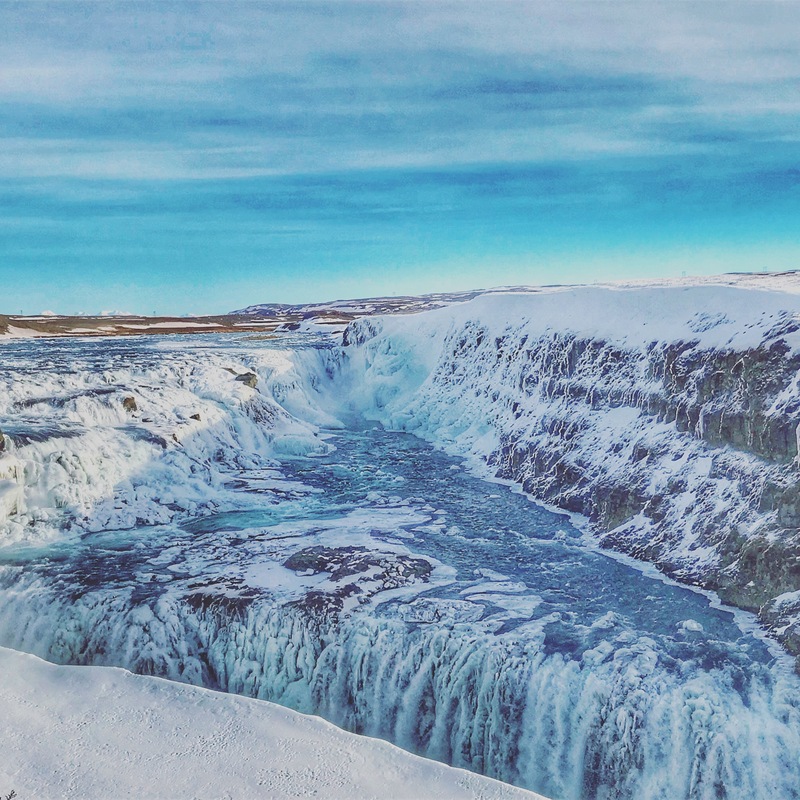 I showed a couple friends pictures of Gulfoss and their response was, “That doesn’t even look real.” They were right – this place looks like it’s straight out of a fairy tale and rivals Niagara Falls with its size and force. Gulfoss is one of the most popular tourist attractions in Iceland and it’s clear why. 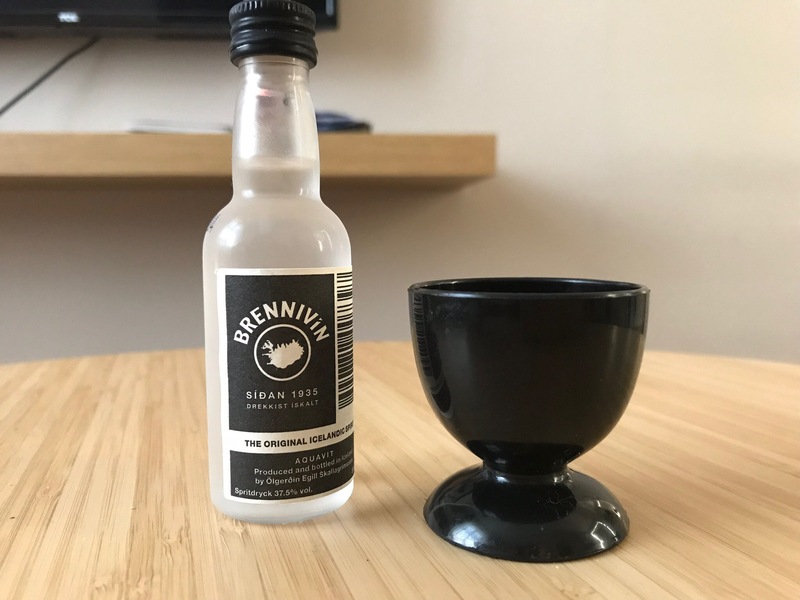 Brennivin, or “the Black Death,” is a local liquor made from potatoes and sweetened with caraway seed. It’s typically served cold and as a shot. Though it’s known among tourists (and some locals) as being quite terrible, I didn’t think it was THAT bad. Find it in most bars or in one of the government-owned liquor stores called a Vinbudin. The cheapest place I saw it? The duty-free store upon leaving Reykjavík. 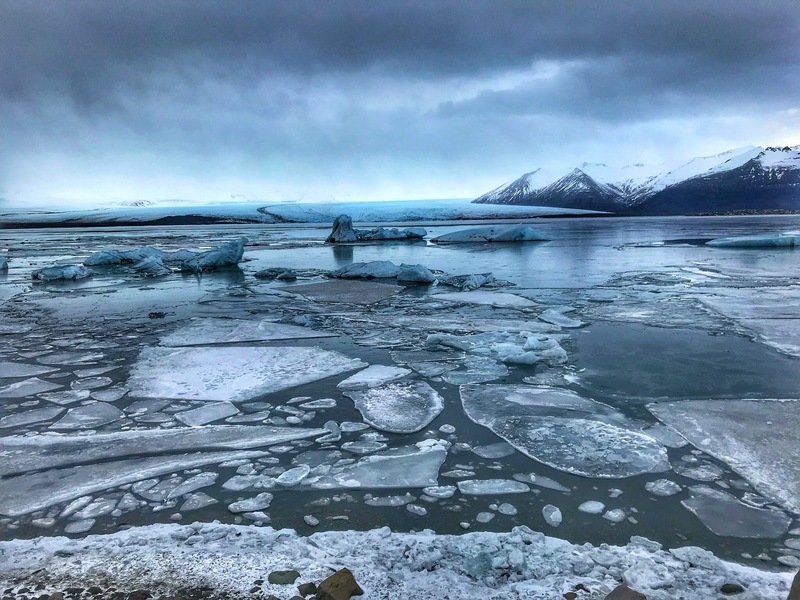 Though a lot of people headed to Iceland have heard of Brennivin, most aren’t familiar with Bjork (the alcohol, not the songstress). 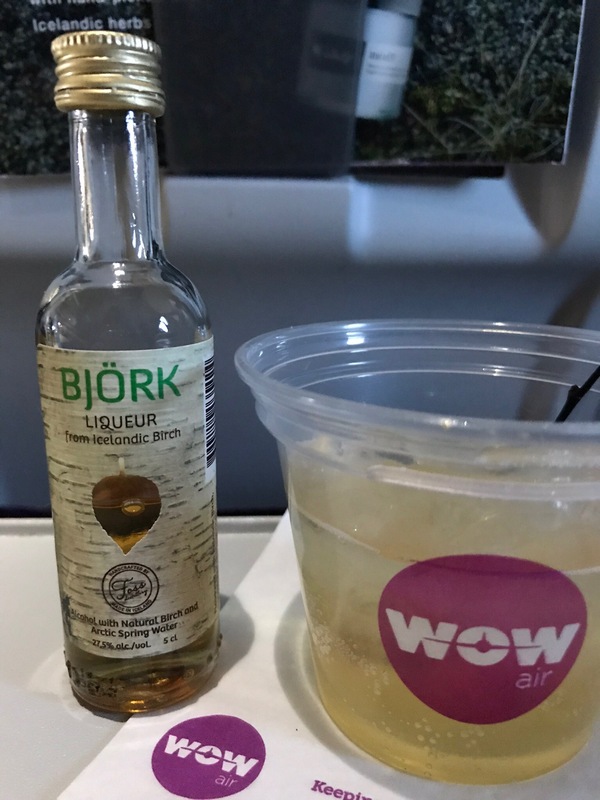 Bjork, created by Iceland’s Foss Distillery, is made from birch and birch sap. It’s great mixed with tonic and has a truly unique taste. It’s sister product, Birkir, is also worth a try if you get the chance. 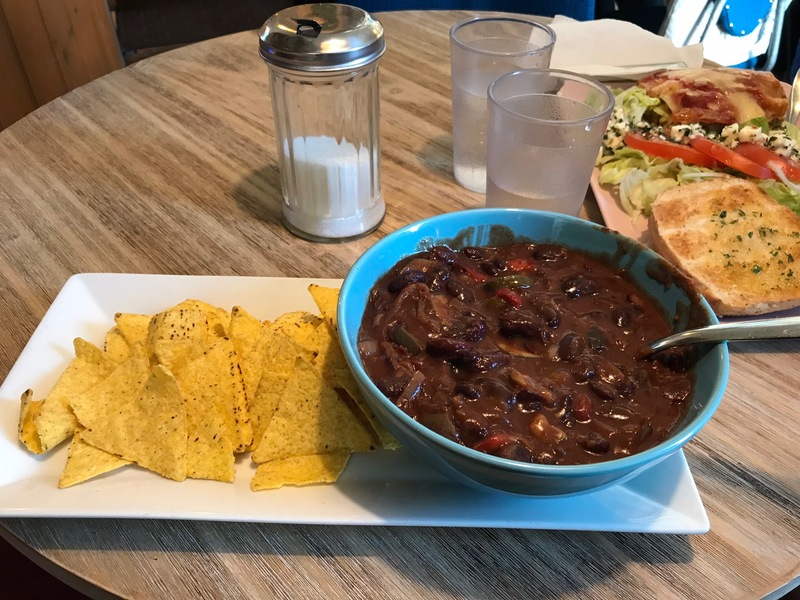 This is Reykjavik’s only all-vegan cafe, though you definitely don’t have to be vegan to enjoy it. 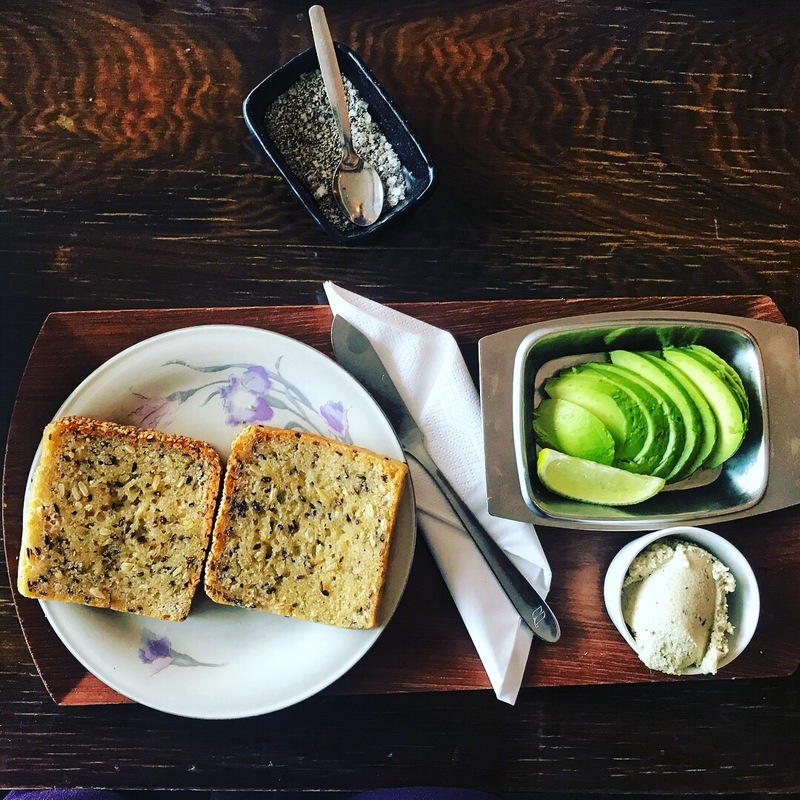 In fact, my husband liked Kaffi Vinyl’s avocado toast better than the hot dogs he had in Reykjavik (don’t tell anyone). True to its name, this cafe also has bins of records you can sift through and one playing at any given time. They even have a small bin of free records by the door if you can fit one in your suitcase. Those of you who frequent my blog may already know that this is one of my favorite things to do when visiting a new city. 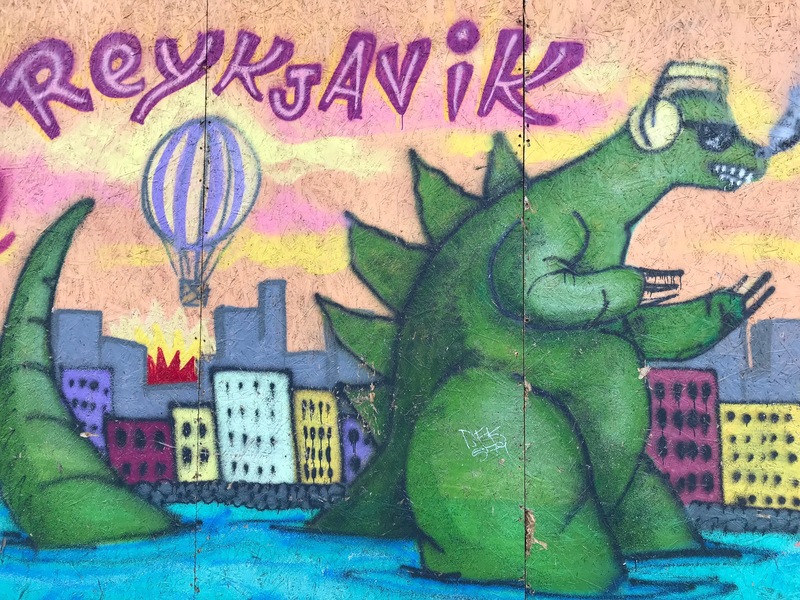 Fortunately for me, there was no shortage of murals in Reykjavik. 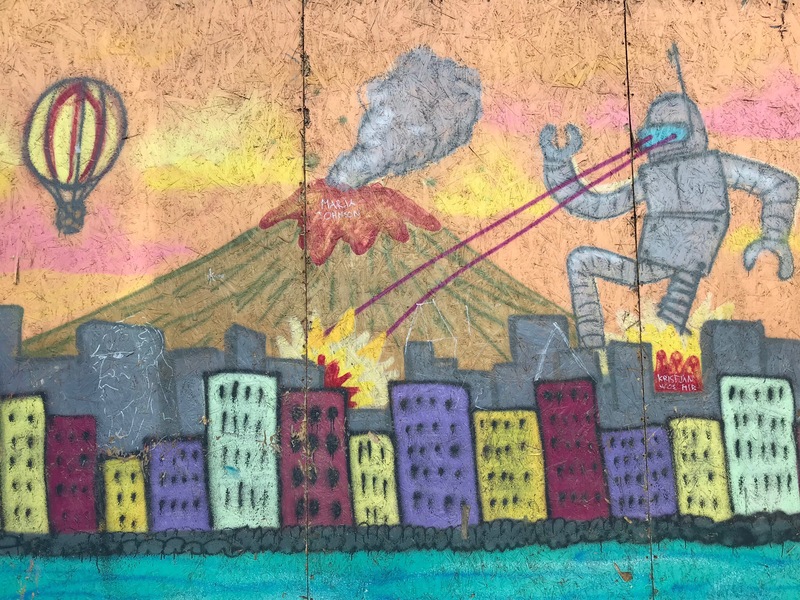 My favorites were the ones below located on Laugavegur, but others can be found all over the city without much effort. 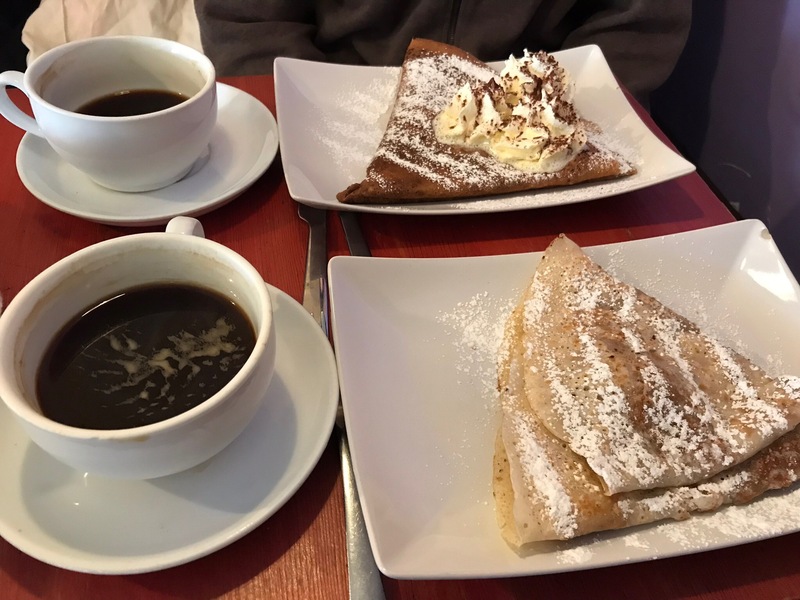 This little cafe houses the best crepes I’ve ever had. I opted for the vegan, gluten-free crepe with almond butter and bananas inside. My husband had the glutenous version with Nutella and whipped cream. We both agreed that it was one of the best meals we had in Iceland. P.S. They have savory versions too. We finally made it to this waterfall after sitting on the Ring Road for hours after a traffic accident. 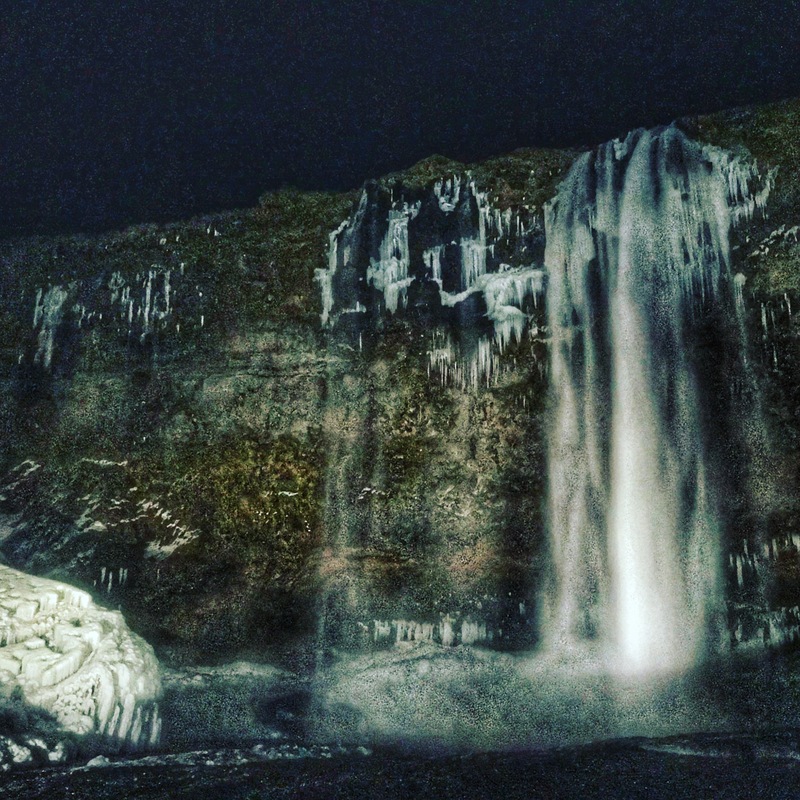 Though we were exhausted, Seljalandsfoss is kept well lit at night, all the other tourists had gone, and the northern lights even showed themselves a bit. The downside was that we didn’t get to walk behind the falls, which I’ve seen beautiful photos of. 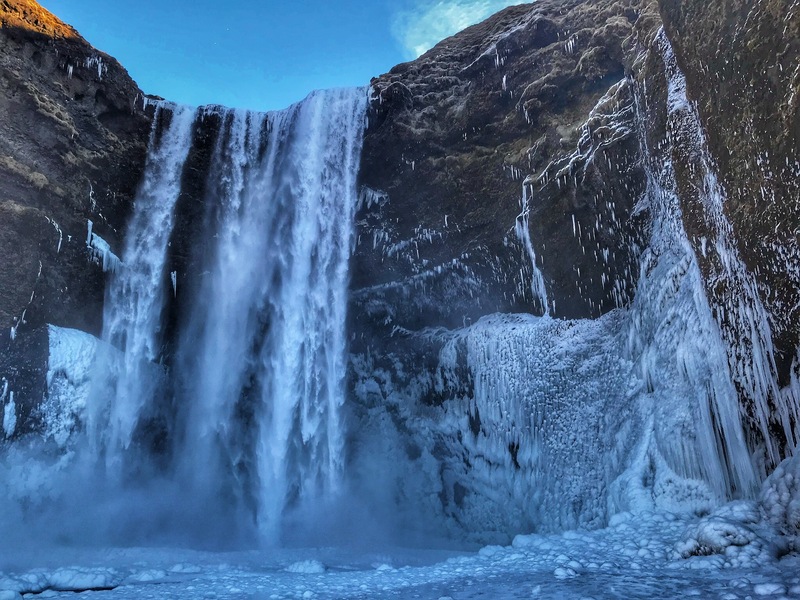 It’s said that one of the viking settlers hid a treasure chest behind this 200-foot waterfall. We didn’t find it, but we did get some incredible photos and an intense workout climbing the 370 steps to get a view from the top. Don’t worry, the 10 minute hike up is worth it. 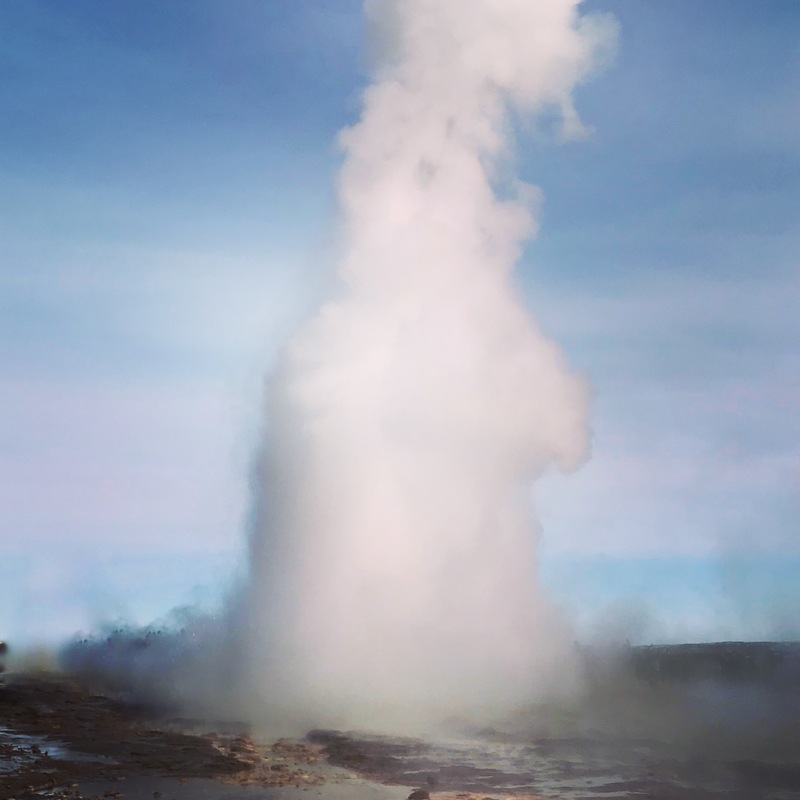 This geysir sits on the Golden Circle and erupts to about 100 feet every 6-10 minutes. Almost as interesting as the geysir itself, however, is its surrounding geothermal field where you can see pools of water and mud that are naturally piping hot. I’d call them hot springs but in my mind that implies being able to get into them, which you CANNOT do. Though you won’t want to spend a whole afternoon here, it definitely warrants a 30 minute pit stop. There’s something just fundamentally cute about Icelandic horses and their short legs. At the same time, I understand that they’re tough and live longer than many other breeds. 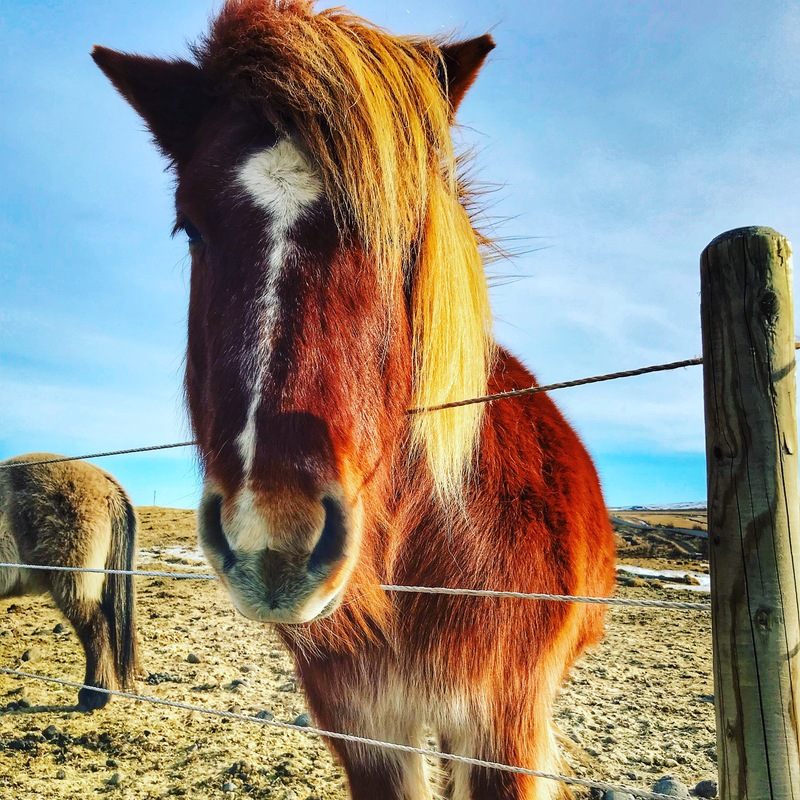 Do yourself a favor and pull over at a safe spot along the Ring Road to say “hello,” or make sure to schedule a horseback riding session. Just refrain from calling the horses “ponies,” as both Icelandic people and horses may find this offensive. 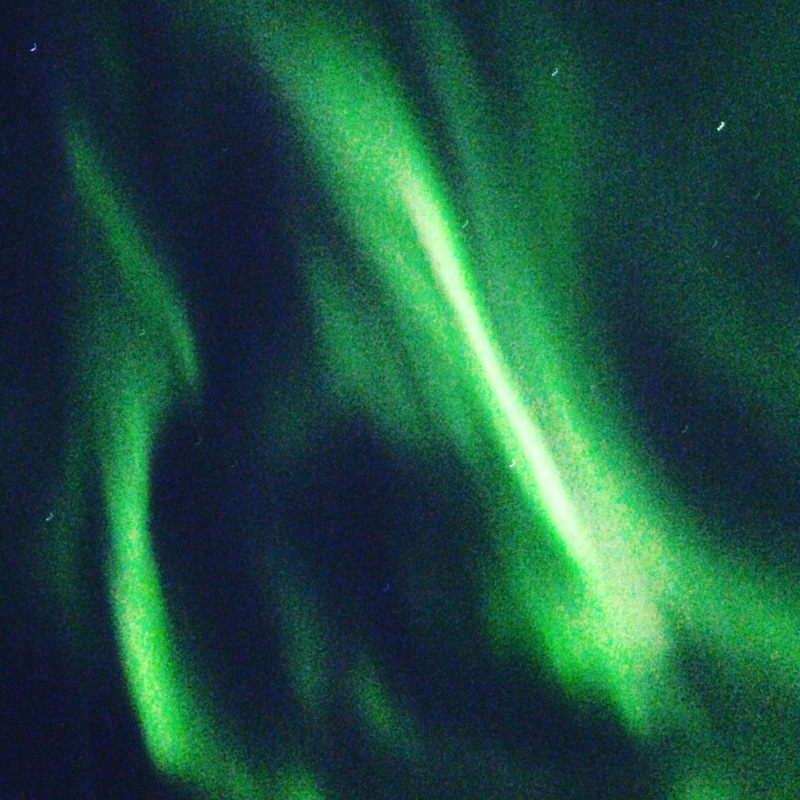 We took a Northern Lights tour and it went something like this: The bus picks you up in Reykjavik, drives you a couple hours away where it’s dark, you stand outside waiting until you get too cold, and then you wait inside a chalet drinking hot chocolate until the tour guides come in and announce that there’s some activity. The humor in this is not lost on me. Still, seeing the lights was an absolute bucket list activity that I got to check off, and probably the highlight of my entire trip. 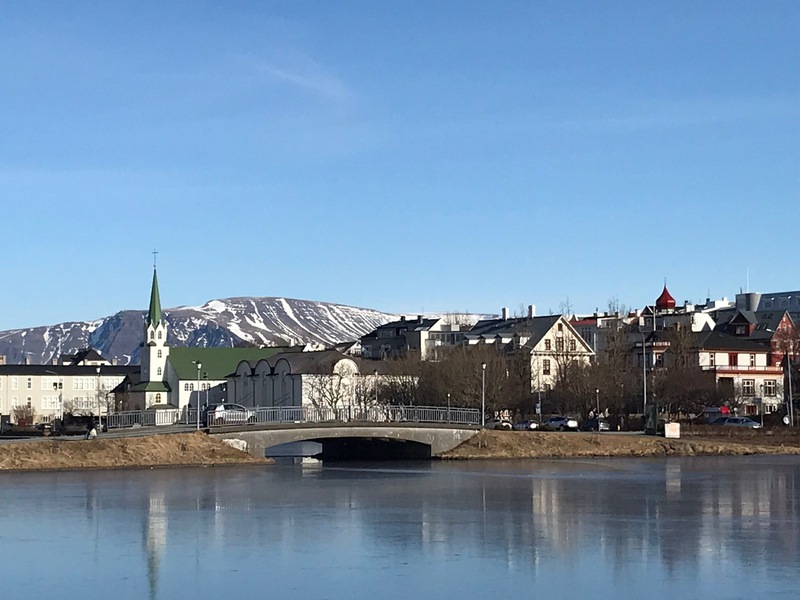 If you have time and money to spend a night or two at a hotel in a dark area of Iceland, this is ideal, but otherwise one of these tours will do the trick. Just make sure to book your tour for shortly after you arrive in Iceland, as most companies will allow you to re-do the tour if you don’t see the lights the first time. 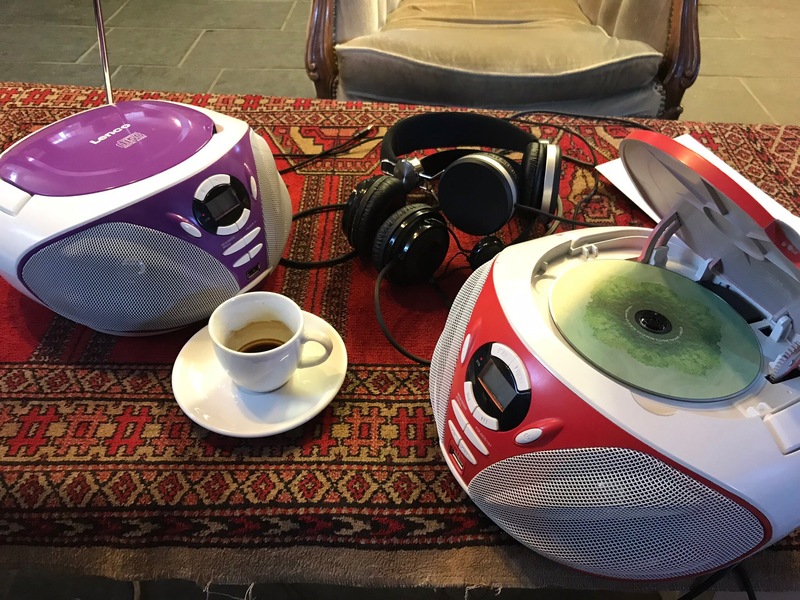 I’ve been in my fair share of record stores with my musician husband, but this one won my heart with its listening stations. Grab an album by an Icelandic artist and see what you think. They also have gift items and a slew of postcards and photos to look through. Not much is happening at the Tjornin pond during the winter, but I understand that it’s a great spot to picnic and watch the ducks in the summer months. Pair it with the National Museum of Iceland to make a day of it. This quirky spot is a great pit stop during a day of exploring. Go for a sandwich or vegetarian chili and stay for coffee and a piece of their well-known cakes. 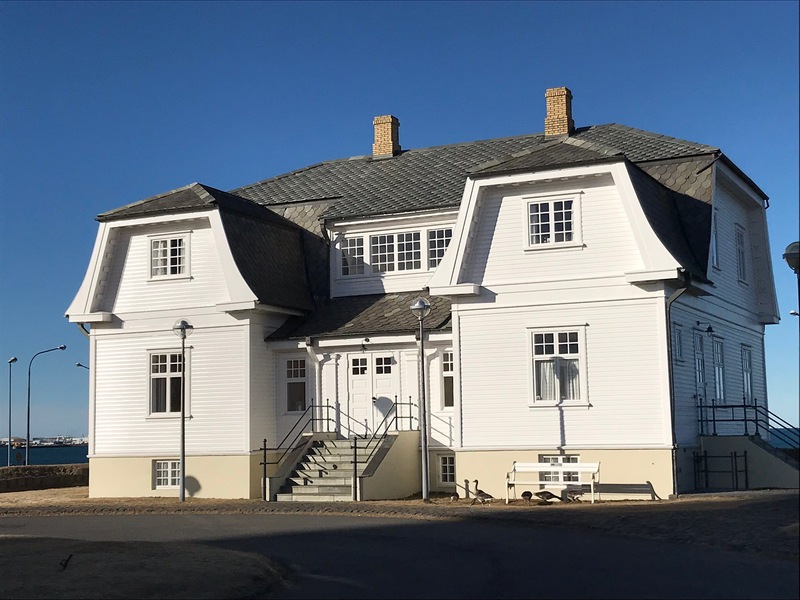 Formerly the home of the French Consulate in Iceland, this house became famous when it was pictured on TV during the meeting between Ronald Reagan and Mikhail Gorbachev that helped end the Cold War. There are also rumors of a female ghost in the house wreaking havoc. Visitors can’t go inside but it’s a great stop while walking along the waterfront. 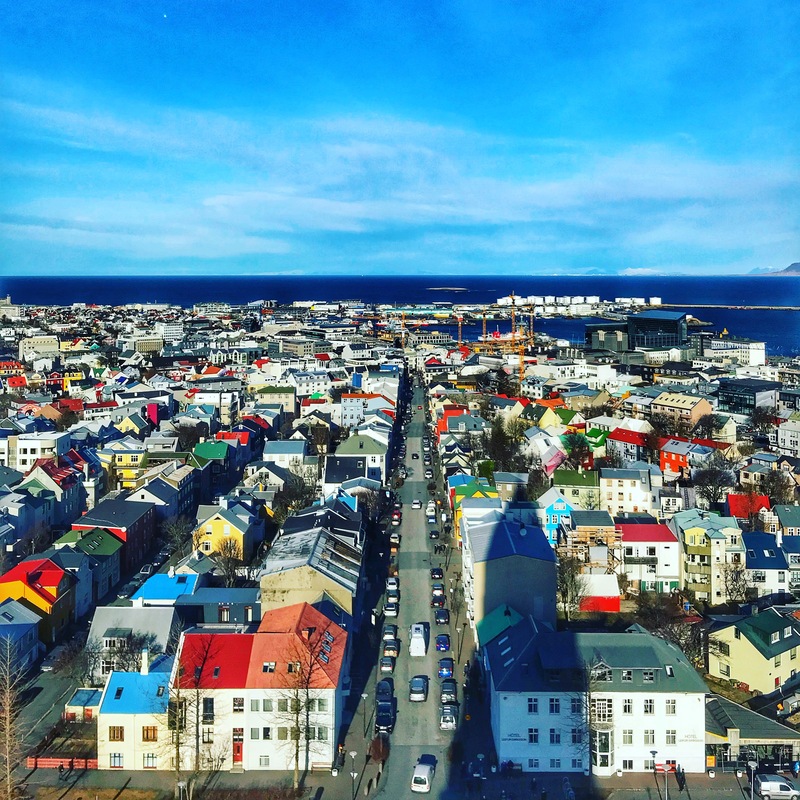 What’s on your Iceland to-do list? Let me know in the comments section! Want to save this for later? Make sure to pin one of the images below.